Approx 150, suitable for sowing Feb-May or May-Aug. Rich glowing colours. Viola x wittrockiana (hardy biennial) - surely most people's idea of what pansies should be! Swiss Giants have beautiful large blooms with rich glowing almost velvety 'faces' - ideal for garden borders or patio containers. 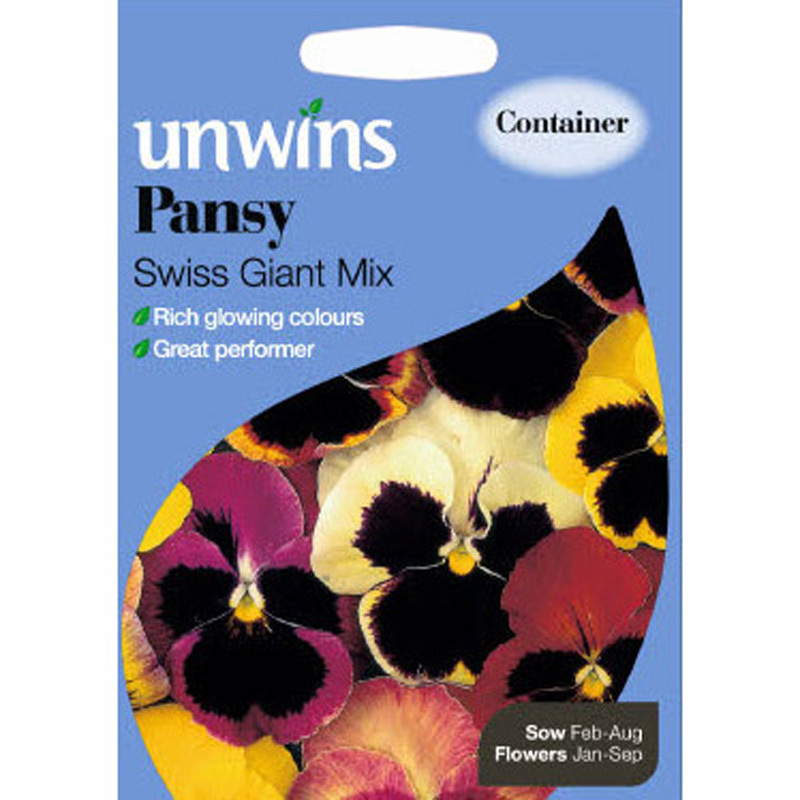 If you would like further information about Unwins 'Swiss Giant Mix' Pansy Seeds, please contact our garden centre at Shawbury just outside Shrewsbury in Shropshire, by calling 01939 251315 or emailing.